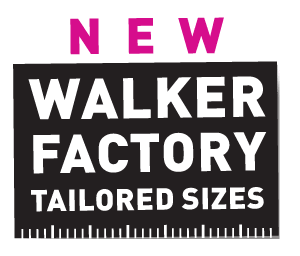 Design, quality and comfort go hand in hand with the new Walker Ellips 280! NOW available from £ 1.435! 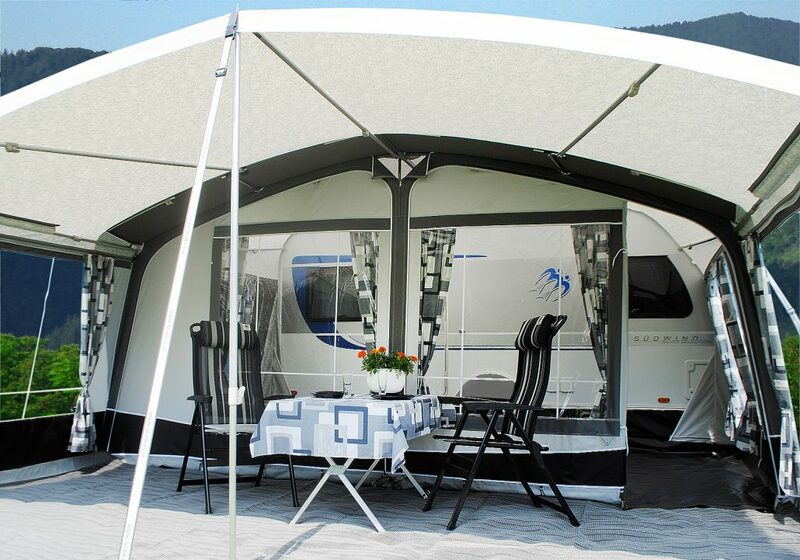 This modern designed awning is supplied as standard with a steel frame. 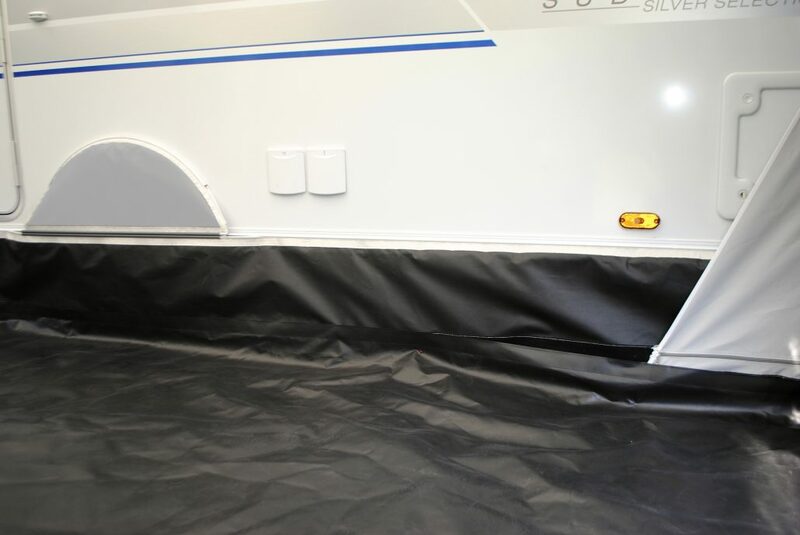 In combination with the latest Ten Cate high quality coated polyester, the Ellips 280 is suitable for residential caravanning as well as those short breaks. 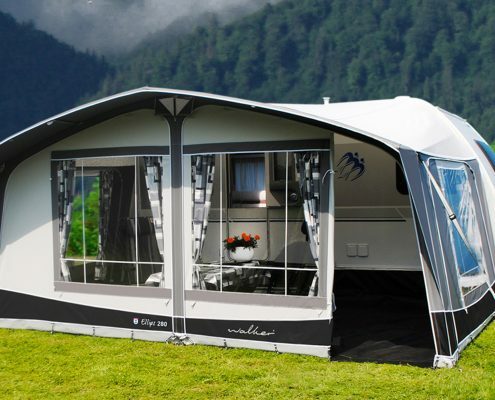 As an option there is the Patio front suncanopy or the Castel front suncanopy. 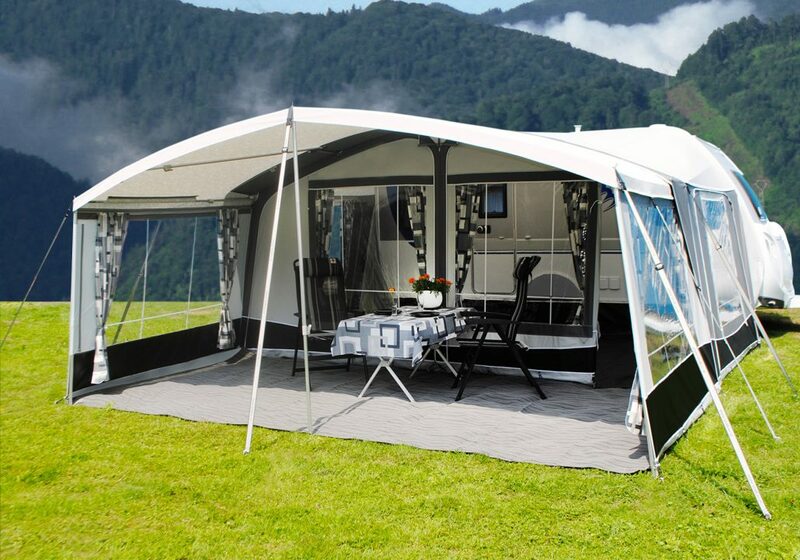 The Patio front suncanopy is specially designed for those caravanners who have their awning on a seasonal pitch. 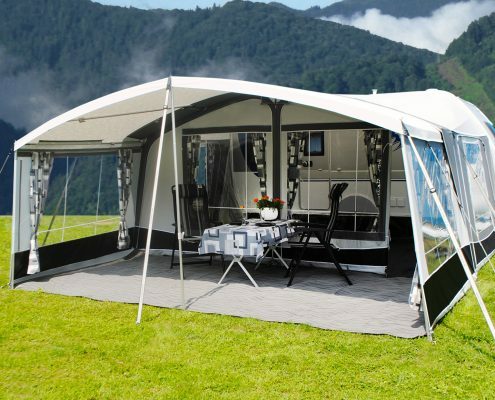 The special heavy duty steel frame, with extra roof bars, make it a very strong canopy. All sleeves for the poles are fitted with zips. 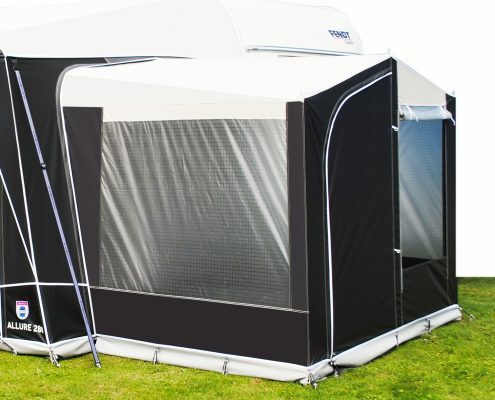 The Patio is supplied with 2 zip out side panels with window as standard. 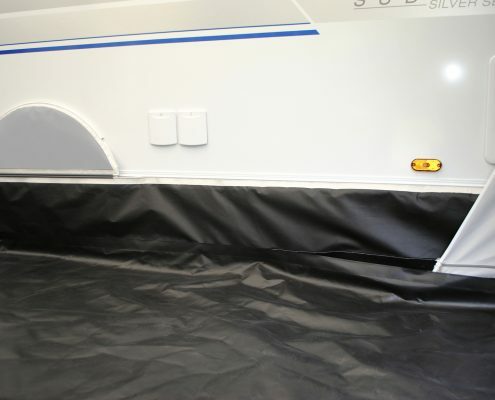 Easy-PowerGrips, stormstraps and curtains for the sidewalls are optional at extra cost. 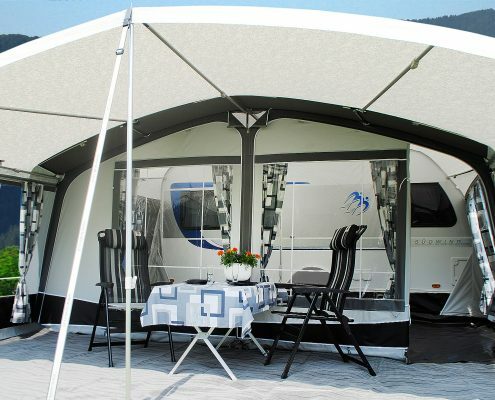 The Castel front suncanopy is specially designed to provide extra shade to relax when you are sitting in front of the awning. 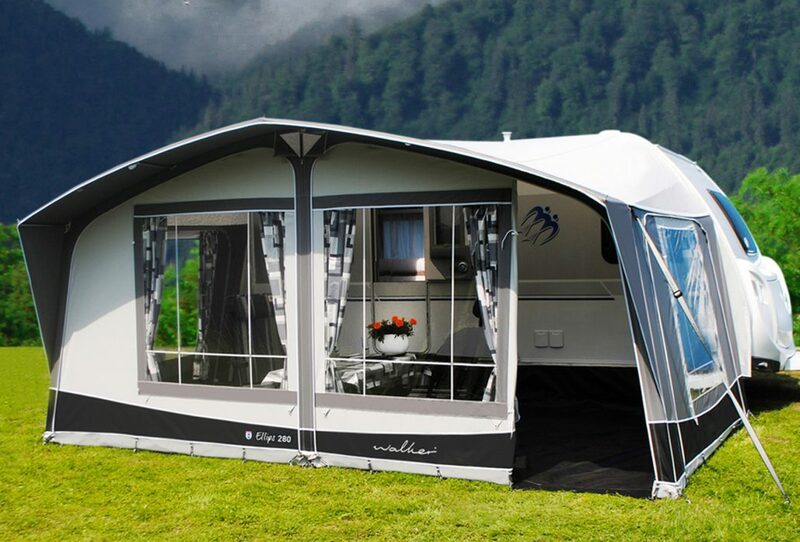 With the optional Castel Plus-package you will be able to put it on the caravan directly. Ground: 215 x 140 cm. Weight: 15 kg. Provided with door and fly screen panel. 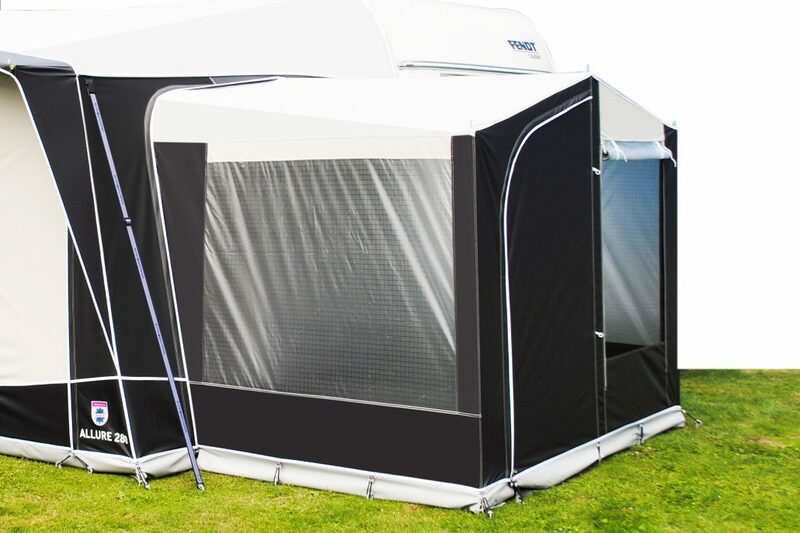 All Walker annexes are equipped with an extra zip, so the awning’s side panel can be used as a partition wall. Optional: inner tent available. Ground: 200 x 140 cm. Prices are including VAT / Changes in price, size, performance and construction reserved. Optional on steel frames at extra costs. 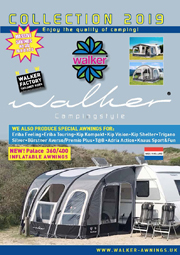 WALKER VIDEO – Ultimate camping with the Ellips-280!